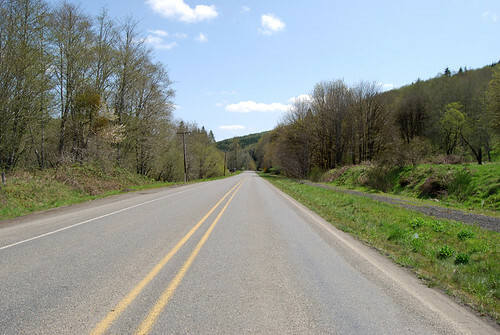 On Sunday, May 4, 2008, we drove the length of Washington State Highway 6, a peaceful route through the vales of the Willapa Hills on a bright, sunny day. 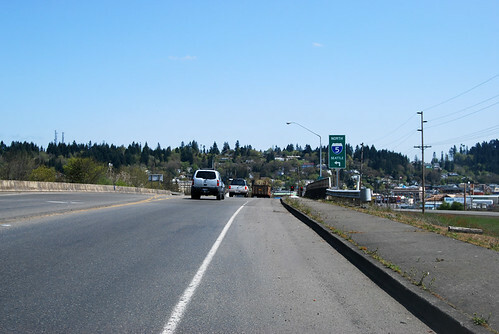 Beginning at a junction with state route number 101 at Raymond, thence easterly by the most feasible route to a junction with state route number 5 at Chehalis. 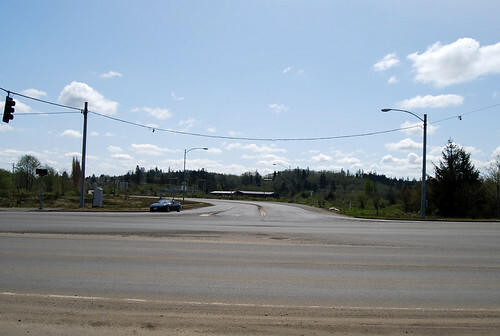 Highway 6 starts in the city of Raymond, at a junction with US 101. The next junction isn't till the end, so I stopped briefly at the halfway point, near McCormick (which is just west of Pe Ell). Damage from last winter's flooding was still evident for the second half of our drive. At one point near Dryad, an entire road bridge was washed out, lying parallel to the river. 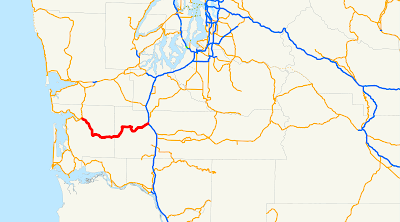 And before you know it (it's not signed very well), you're at I-5 in Chehalis. 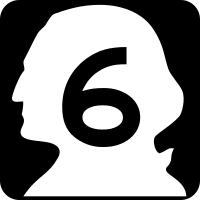 State Route 6 is done! Iris, did you drive 6 by accident a while back when you got lost in downtown Aberdeen?